Linda Holloway provides friendly and professional assistance for all of your real estate needs, including getting your home sold or helping you find your next home in less time and with less hassle. As your real estate agent, I communicate efficiently and effectively while guiding you through each step of the real estate process ensuring that the purchase or sale of your home goes smoothly. I offer you access to all of my technology systems which allows you to have up to date information so you can act quickly when you find your next home. With your needs in mind, I work to help you find the home for your lifestyle without wasting your time. As a REALTOR® in Tampa Bay, Linda Holloway finds joy in helping others get what they want. With a strong understanding of the real estate process of buying or selling a home, Linda provides value by guiding you through the transaction and over-seeing the details. Linda understands that most people do not buy or sell a house everyday. Linda works to provide the information you need to make the best decision possible. I will share my expertise by negotiating the best price and terms of the offer on your behalf. Linda believes the Tampa Bay area is a beautiful place to call home and that there is a home and a lifestyle here for you. 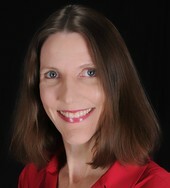 Linda Holloway has joined Keller Williams Realty Tampa Central. Linda is passionate about helping people, real estate, and Tampa Bay. When you are looking for a REALTOR® in the Tampa Bay area, please look no further than Linda Holloway. Linda will work hard to help you get where you want to go. Whether you are buying your next home, selling your current home, or buying and/or selling investment properties, I am looking forward to working with you. Linda would appreciate the opportunity to earn your business and to help you find Your Next Home in Tampa Bay!